Home>Our expertise>Marketing>Are automation and artificial intelligence changing the way companies market their business? It is without a doubt that technology has had a significant impact on how marketers interact with their customers in recent years. Companies are already introducing some very innovative ways to connect with new and potential customers, so we must be ready to understand and more importantly, embrace how these methods can be utilised effectively in different environments. There are a number of different ways that technology has changed the way we market products and services. Programmatic media is one form of digital advertising that has had a huge effect on how we target and retarget our audiences, particularly on social media. Facebook recently announced that advertising revenue hit $10bn in Q3 2017, as companies take advantage of the ability to target the 2bn users of the platform based on their preferences and/or demographic traits. 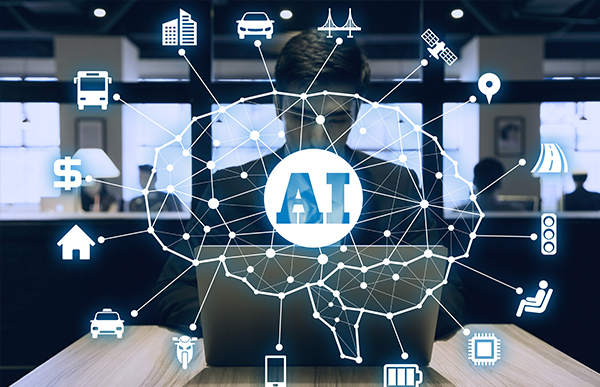 Artificial intelligence is something we have all heard of but may not necessarily understand how it works or how it is impacting marketing teams. Even within the world of recruitment, we utilise aspects of artificial intelligence to attract exceptional candidates. By advertising roles to individuals that have been identified as those who possess the key traits essential for success in a particular role, we can reach candidates that we wouldn’t normally when using our traditional methods. Technology that has become increasingly prevalent in the B2B manufacturing sector is automation. Within the automotive sector especially, companies are spending large sums of money developing ways to automate processes. Supermarkets, banks, train stations and airports are a few service areas that have seen massive changes through the implementation of automation and we interact with these services constantly. For example, automated passport control; your passport and biometrics are checked by a machine rather than a person. Does this mean that the use of automated systems has eliminated the need for certain roles or has it given us the opportunity to create new roles and better utilise employees’ key skill sets? I suppose there are arguments on both sides of the fence but I would like to see this technology continue to develop as it can bring some real benefits to our everyday lives. Last year Jaguar Land Rover (JLR) launched a new recruitment app using augmented reality which was designed to attract some of the very best minds by allowing candidates to immerse themselves into a virtual world to complete a code-breaking challenge. If you managed to break the code and complete the programme, JLR was prepared to offer you a position and help you to develop your ability without having an education in either electronics or software engineering. Research conducted by PageGroup in partnership with The Foresight Factory has found that in the UK, augmented reality app usage is at just 8%, however, the forecast is that it will rise to 27% by 2025 and adoption will be especially high among 16-24 year olds. In line with this, our research also found that 64% of people believe those who are not skilled in technology will find it harder to get a job in the future. What does this mean for the future workforce? Looking forward, companies will increasingly seek candidates who are skilled in technology. Today there are typically more specific requirements for candidates at the mid-senior level such as CRM experience and excellent people management skills, however, as technology advances and roles evolve we will see more technical requirements for entry-level roles emerging. Specialised skills in new technology will be fundamental for those entering the marketing space, with the capacity to learn quickly and efficiently so that companies can train their new employees to use their specific platforms, tools and methods. The focus for employers will be to retain these highly trained and highly skilled employees through continuous and supported training and development. Technology is changing the way we live and it is evolving different aspects of our lives every day. The jobs we work in today will undoubtedly change and many may no longer exist in as little as 13 years. Recent research by McKinsey&Company has found that across the globe, some 375m professionals may need to change occupations by 2030. With that being said, it was also found that millions of new jobs will be created, far exceeding the estimated number of roles that would be displaced. While we can expect significant changes in the way we work, the roles we move into and the skills we will need to develop, it will be exciting to see exactly how it will impact the marketing world. If you would like to discuss this topic further or for information about how we can help with your recruitment processes, please get in touch for a confidential discussion today.